This past July was my busiest. month. ever. But when your good friend asks you to shoot her Mackinac Island wedding, how do you say no?! I met Kelly and her family at the beginning of last year when our girls were in the same preschool class. We became fast friends, and I knew when she started planning her wedding to Chris last winter that I had to be a part of it. Kelly and Chris planned to get married several years ago, but Kelly’s mom Sharon was in the middle of battling cancer. She didn’t want their wedding day to be overshadowed with her illness, so they waited. Sharon lost her battle over two years ago. For those of you that have lost a parent, especially one that was your best friend, the loss is devastating. 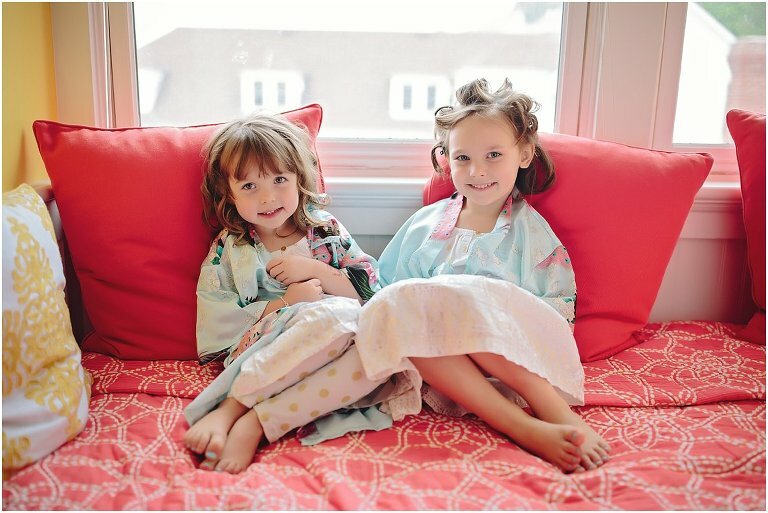 Slowly, life begins to move on, especially in the form of their two precious little girls; LolaMoon & Pearl. Although Sharon was terribly missed, their wedding day was covered with joy and happiness. 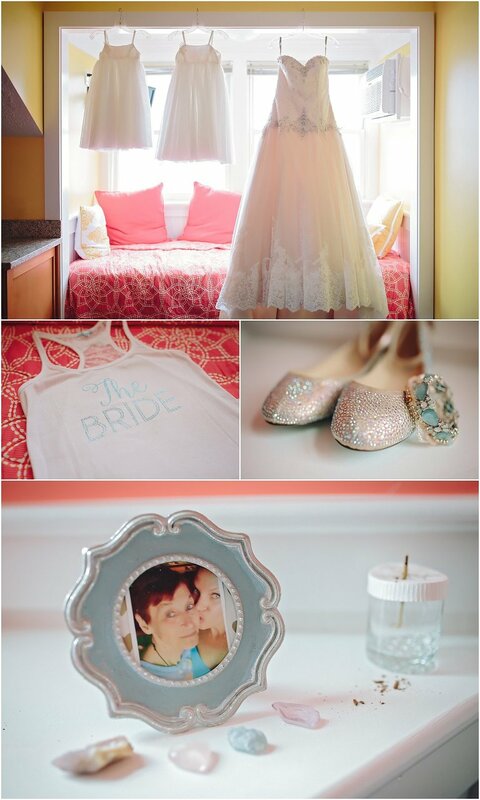 They were married at the gorgeous Island House Hotel on Mackinac Island. Mackinac Island means so much to Kelly. She spent many summers here with her mom, whose partner Joe owned the horse and carriage company that chauffeurs guests around the island. He was there to walk Kelly down the isle and gifted them with a very special carriage ride around the island, celebrating their marriage. Joe passed away last week at the age of 86. He closed his company for the season, traveled back down to southern Michigan for the winter, and then went to be with Sharon. Kelly said the first thing her mom probably said to him when they were reunited was, “What took you so long? !” I am sad for her and her family’s loss, but I am happy for their wedding day. It was such a beautiful one. They were surrounded by the most important people in their lives, including Sharon who I’m sure was with Kelly, Chris, and their beautiful girls the entire day. Thank you to the both of you. I’m honored to have photographed this day for you, full of so much love and joy, and I am blessed to be in a profession that captures these precious moments in time to cherish forever, long after our loved ones leave our world. Love all four of you! Congratulations! 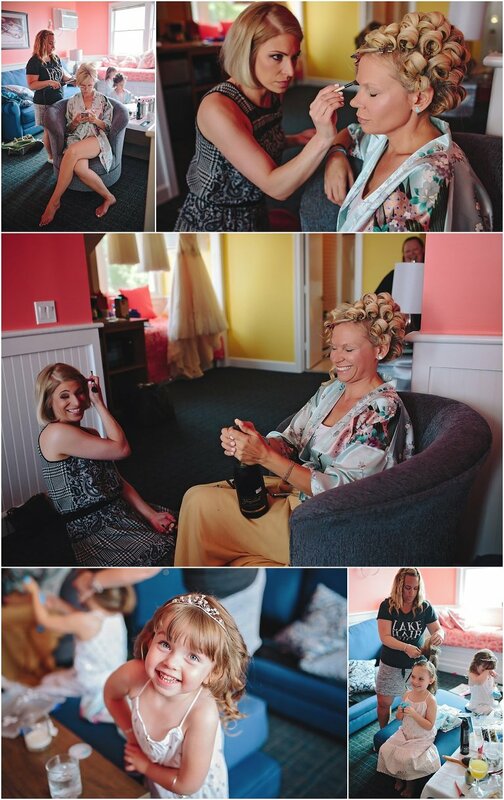 Kelly placed a picture of her and her mom in the bridal suite. Joe’s cottage. Kelly took a moment here and could feel her mother’s presence. It was a special moment. So glad I photographed it. On the way back to town, Kelly & Chris received a wonderful welcome from everyone around the carriage. So much applause and congratulations from strangers. It was such an awesome moment! Why just have one wedding cake when you can have FOUR!? Kelly, Chris, Lola Moon & Pearl each picked out a special cake, just for them. Congratulations Delcamp family! I’m blessed to have you as friends.